Binge-watching has quickly become the norm for TV watching. At least that is what the famously secretive streaming services want everyone to believe - usually without going into further detail. Now, at least some information on the way we binge-watch shows have been released by US Netflix: including TV dramas like "House of Cards", "Bloodline", "Sense8" or "Marco Polo. Netflix said customers who chose to watch an entire TV season finished it on average in just one week, watching a little over two hours a day. 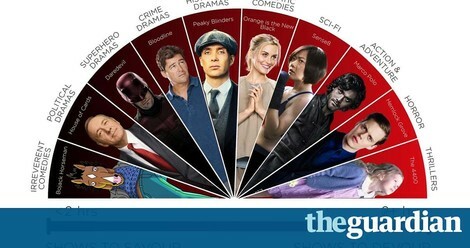 Netflix released the information in a Bingometer - a “binge scale”, ranging from “savour” a TV show at one end to “devour” it at the other. However; heat magazine TV critic Boyd Hilton sais the “binge-watching” phenomenon had been overplayed - missing out on social media buzz and interaction.